Sony and Insomniac’s PS4-exclusive Spider-Man title promises plenty of death-defying web-slinging, cinematic action, and fun gadgets, but it won’t be a slouch in the combat department, either. Rather than taking the simplified Batman: Arkham approach, Spider-Man is opting for fast-paced, acrobatic battles, which almost look to be ripped from a Devil May Cry game. 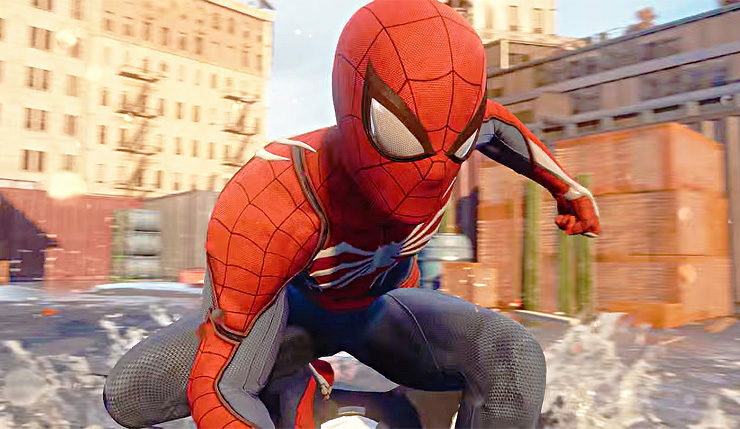 In a new Game Informer video, Spider-Man creative director Bryan Intihar delves into the philosophy behind the game’s combat and explains, in basic terms, how it works. “We really want to get you off the ground and using your acrobatics, using your gadgets, using your webs, to feel more like Spider-Man. We didn’t want it to just be a brawler — [Spider-Man] is so much more acrobatic and has that sense of fluidity and flow in combat. It’s constantly going up and down, left and right. Using the environment to really deliver that idea of improvisation. Spider-Man will also have a “pretty deep progression system,” which will include the ability to unlock moves and abilities and craft your own gear, suits, and suit mods. I definitely recommend you check out the full Game Informer video, as Spider-Man’s combat is looking pretty darn impressive. Spider-Man swings onto PS4 on September 7.